Stephanie was 65th at the English Schools Cross-country Championships in Hylands Park. 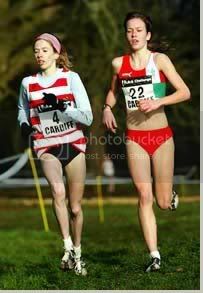 Stephanie was 14th at Nottingham, 18th at Margate, in the U15 girls races in the 2002-2003 Reebok Challenge series. National XC U15 1st Twell earned Gold the lung-bursting way. She waited until the last 100m of the remorseless uphill finish before powering to victory, 15m ahead of the defending Champion, Danielle Walker (Royal Sutton Coldfield). Pre-race: Nottingham: Stephanie Twell (177) won the English National title, just two seconds ahead of the Midlands’ Dannie Walker. Proving yet again the strength in depth of Aldershot, Farnham and District AC in the age groups, at the South of England Championships Twell was second to her team-mate Stacey Preston (174). Twell was also second in the Reebok Liverpool Cross Challenge in November. Stephanie was 3rd in the U15s race at the Reebok Inter-counties in Nottingham. Hampshire won the Team Gold. Stephanie was 3rd in the Reebok 2003/2004 series, with 100 points. In March, Stephanie was 7th in the Inter Girls' race at English Schools in Maidstone, Kent. Hampshire & Vectis were 2nd in the team score. In April Stephanie Twell took the individual silver medal in 15:39 as the English School's Intermediate Girls' team ran away with the team gold in the British Schools Cross Country International at Ayr. The race was won by Wales' Non Stanford in 15:11. Stephanie took the Under 17 girls 800m and 1500m titles at the Hampshire Track and Field Championships, in times of 2:15.21 and 4:32.52 (a Championship Best Performance) respectively, both ahead of AFD clubmate Emma Pallant. Stephanie narrowly missed out on the medals in the Intermediate Girls' 1500m at the English Schools Track and Field Championships in Gateshead, after finishing 4th in her heat. Her time of 4:28.99 was still a national standard performance though, in an extremely high-class field. The race was won by Surrey team-mate Danielle Christmas, who streaked ahead to win with a 2 second margin. At the IAAF Norwich Union Super Grand Prix at Crystal Palace, Stephanie finished 4th in the Under 20 3000m in a time of 9:59.18. 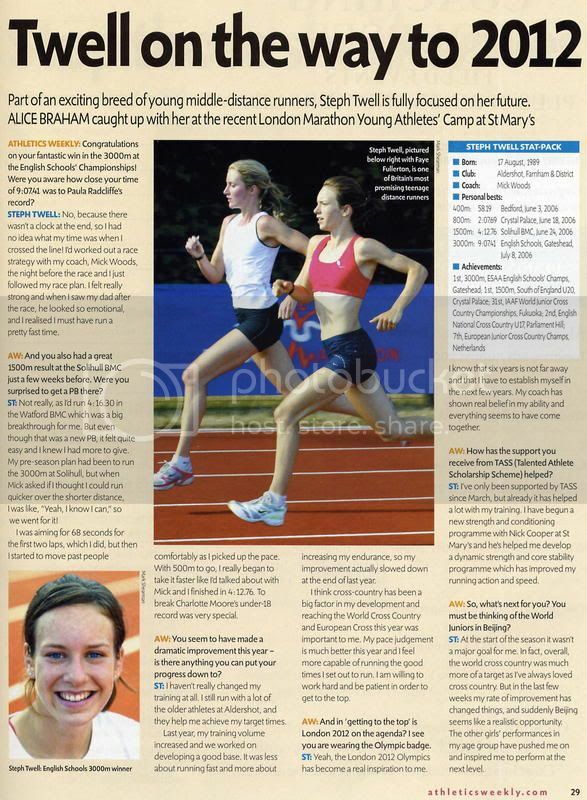 She went on to win silver at the AAAs Under 17 championships in Birmingham, recording a personal best time of 4:26.74. Pre-race: Nikki Hamblin (Dorchester AC) fresh from a successful track season that included English Schools and AAA titles is in the field, along with Aldershot, Farnham and District’s Stephanie Twell and Emma Pallant, who finished first and second in the recent Hampshire Senior Women’s Cross Country league. 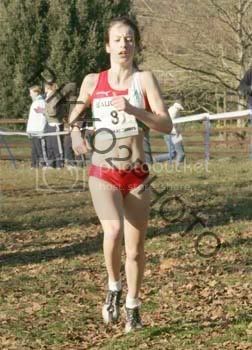 Jessica Sparke (Woodford Green & Essex Ladies) who ran the fastest leg at the Southern Road Relays is also in the field. Fifth overall and third place in the Under 17 race at the Reebok Cross Challenge in Birmingham went to Stephanie Twell (Aldershot, Farnham & District). Aldershot, Farnham & District did well at the English Cross-country relays, winning the Under 15 Girls and Under 17 Women's events and they were the only double winners. Stephanie Twell ran the fastest leg in the under 17s. In the absence of Falkirk winner Non Stanford (Swansea Harriers), who will return from the Norwich Union sponsored ‘On Camp with Kelly’ in South Africa on the day of the race, the leading Under 17 in Birmingham, Sian Edwards (Kettering Town Harriers), will probably be the leading contender. She will be challenged by the third Under 17 in Birmingham Stephanie Twell (Aldershot Farnham & District), who also ran the fastest leg to lead her club to victory in the English Cross Country Relays. 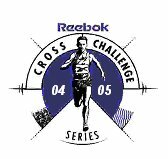 Also in the field are the equal leaders in the Reebok Cross Challenge standings, Siobhan Coleman (Pitreavie AAC) and Jessica Sparke (Woodford Green with Essex Ladies AC). Hampshire sent a large contingent of runners to the annual South of England Cross-Country Championships, run on a tough, hilly course at Stowe School in Buckinghamshire. A strong under-17 women's team failed to win their group by just one point from Essex despite Aldershot's Stephanie Twell recording a fine win. Two other Aldershot girls, Emma Pallant and Hannah Jones, were fourth and sixth, followed by Sasha Mucci (Southampton) 16th, Polly Keen (Havant) 20th, Hayley Pointer (New Forest) 25th, India Lee (Aldershot) 26th and Lucy Bowers (Southampton) 40th. With Aldershot's Charlotte Purdue leading the way in second place, Hampshire were third in the under-15 girls' race. Southampton's Louise Webb had a good run for fourth and behind here were Sarah Burgin in tenth, Michelle Hallett (Southampton) 35th, Rebecca Jones (Aldershot) 45th, Rio Brookes-Gibbs (Southampton) 51st and Georgina Gair (Portsmouth) 56th. Hampshire's young senior women's squad finished last despite a great run from Winchester's Rachel Townend for fourth. Next came Natalie Coveney (Winchester) 27th, Heather Buckingham (Southampton) 30th, Rachel Kinchington (Overton) 40th, Emily Lowndes (Winchester) 52nd, Tahli Gill (Aldershot) 53rd, Sam Stewart (Southampton) 57th and Sarah Bolton (Basingstoke) 61st. Hampshire's lone under-20 women's runner was Jade Davies (New Forest) in 15th. Pick of the county's under-13 girls was Winchester's Nicola Ferris in 11th. Aldershot pair Andrea McCarthy and Claire Arnold were 30th and 31st respectively. They were followed by Alice Cole (New Forest) 37th, Hannah Vosser (Winchester) 38th, Brogan Percy (Isle of Wight) 45th, Ollie Berry (Winchester) 47th and Catriona McGill (Aldershot) 56th. The county placed seventh. Running: It’s always hard to spot front-runners because Under 17s have a habit of upsetting Under 20 form-guides. 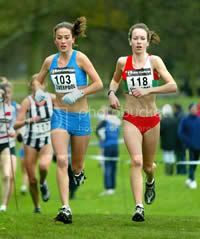 Siobhan Coleman (Scotland East) leads the Reebok Cross Challenge Under 17 standings. Sian Edwards (Northamptonshire) won the National Under 17 title a fortnight ago, ahead of all the Under 20s eligible for this race, having earned a place in the Norwich Union GB Junior Women’s Team that won Silver medals at December’s Spar European Cross Country Championships. 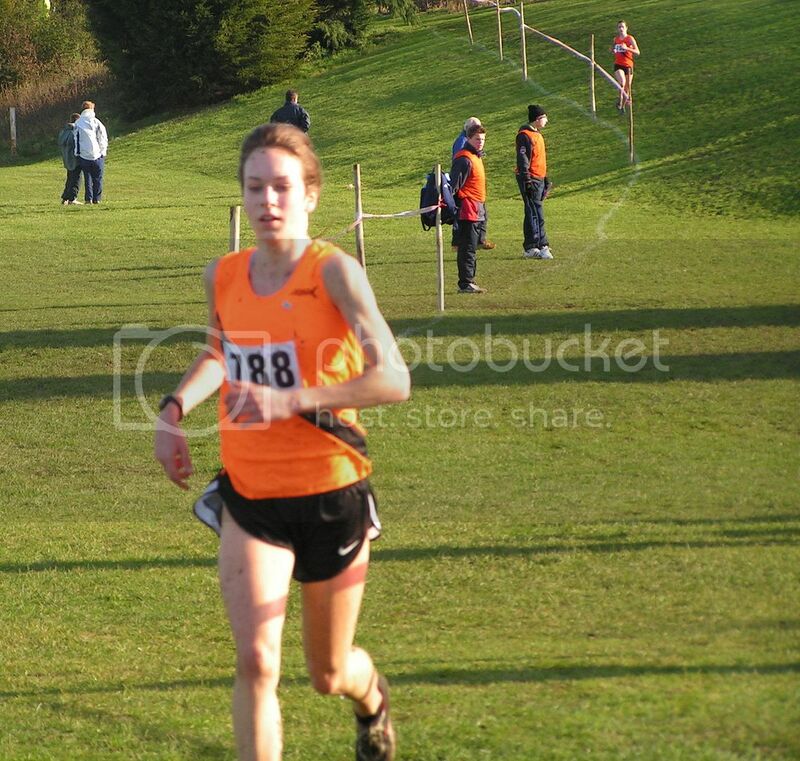 Hannah England (Oxfordshire) currently leads the Reebok Cross Challenge Under 20 standings. Karrie Hawitt (Cheshire) is the defending Champion and has an extra reason to get to the World Cross Country Championships – the Junior Women’s race is on her 19th birthday, 19 March. Morag MacLarty (Scotland East) won the Commonwealth Youth Games 1500m title in Australia pre-Christmas and led the Norwich Union GB Junior Team to success in the annual Lisbon International a few weeks ago. 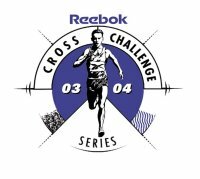 Sara Ponsford (Wiltshire) is second in the Reebok Cross Challenge Under 20 standings. Stephanie Twell (Aldershot, Farnham and District AC) is the National Under 17 Silver medallist. Asked selectors to consider: Emily Pidgeon (Gloucester AC) has won the last two European Trials Junior Women’s races without being old enough to take her place in the Norwich Union GB Team, and has informed the selectors she intends to run in the English Schools Championships on 12 March rather than the Reebok UK Inter-Counties Championships. Stephanie took the silver medal, running up the age group in the Under 20s race at the Reebok Inter-counties cross-country Championships in Nottingham. 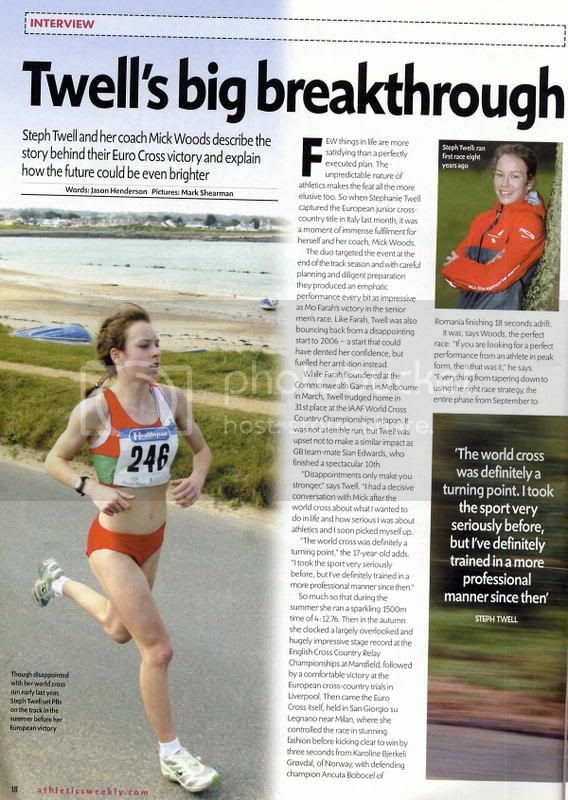 Stephanie Twell finished runner-up in the individual race in that age group and qualified for the Great Britain team at the World Cross Country Championships to be held in Saint-Galmier, France, on March 19/20. Twell, who is still in the under-17 girls age group, ran in the under-20 women to see if she could gain selection for the World Championship - only to be beaten by another under-17 girl, winner Sian Edwards of Northamptonshire. Another Hampshire under-17 athlete, Emma Pallant, finished 11th in the same race. Pre-race: Sian Edwards and Stephanie Twell, who earned their places by finishing first and second in the Trial race at the Reebok UK Inter-Counties Championships, are aged 15, as is Emily Pidgeon (Gloucester AC), the English Schools Intermediate Champion who has won the last two Junior Women’s races at European Trials without being old enough to claim a place in the Norwich Union GB Team. Jessica Sparke and Abby Westley, who were third and fourth in the Trial race, are both 17. Morag MacLarty, who was ill in the 24 hours leading up to the Trial, is 19 – and is the Commonwealth Youth Games 1500m Champion. 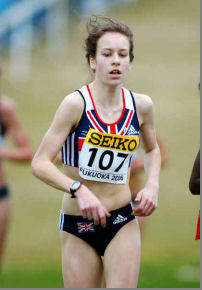 The youngest member of the GB team, Stephanie Twell, finished 60th in 23:23. Norwich Union Great Britain and Northern Ireland finishing as leading Europeans in eighth. AAA Young Athletes Relays - Stephanie Twell (Aldershot, Farnham & District) went head to head with Non Stanford (Swansea Harriers) on the final leg of the Under 17 Women relay. Twell set off with a strong lead, chased by a determined Stanford who closed the gap and produced the fastest time of the day, but had to settle for second place behind Aldershot. Teenager Emily Pidgeon finished second in her race to lead the Norwich Union Great Britain junior side to victory. She finished two seconds behind Romania's Ancuta Bobocel with Morag MacLarty sixth, Stephanie Twell seventh and Sian Edwards 15th to secure team honours. Sian won the Junior women's race, in the absence of Emily Pidgeon, at the UK Challenge race in Cardiff. Sian Edwards (Kettering Town Harriers) capitalized on Emily Pidgeon’s decision to move up to the Senior race in the bold manner that has become a trademark of the UK’s current generation of female endurance runners. From the gun, she shot off like one of the many startled squirrels who spent the afternoon scurrying up trees as the athletes pounded past. And when Steph Twell (Aldershot, Farnham and District) caught her in mid-race, she put on another surge and won by over 50m. The 6km race was dominated by African athletes with Kenya taking all three individual medals. Pauline Korikwiang won in 19 minutes 27 seconds in a sprint finish against Veronica Wanjiru with Mercy Kosgei third in 19:45. Edwards’ time was 20:10. Kenya took the Team Gold medals with only 10 points. Ethiopia were second with 29, Japan third with 58, Eritrea fourth with 83 and Norwich Union GB fifth with 116 – 17 points ahead of Russia – Sian Edwards (Kettering Town Harirrers) 10th in 20:10; Stephanie Twell (Aldershot, Farnham and District AC) 31st in 21:14; Non Stanford (Swansea Harriers) 37th in 21:24; Danielle Sale (Orion Harriers) 38th in 21:24; Jessica Sparke (Woodford Green with Essex Ladies) 44th in 21:41; and Joanne Harvey (Exeter Harriers) 51st in 21:59. Twell, the 16-year-old who was seventh in helping Norwich Union GB win the Junior Team Gold medals at this winter’s European Cross Country Championships, improved hugely from 60th on her Worlds debut 12 months ago with another mature run that belies her tender years. She was placed 56th at the first checkpoint, only five seconds behind Edwards in the packed field. Despite the congestion, Twell had moved up to 29th by halfway in 9:43. She gained one more place in the next section, passing the electronic checkpoint in 17:01. Norwich Union GB Junior Women’s Team Leader Stella Bandu summed-up: “The whole team did absolutely fantastically in a highly competitive race. By finishing fifth, they have beaten a lot of very good teams. It’s been a real privilege to be their Team Manager and I hope what they have gained from this will help them towards fulfilling their long term goals and potential. It’s been a good learning experience. Stephanie won the London Mini-marathon for 15-17 girls in a narrow victory over Wales' Non Stanford. Pre-race: The Junior 800m has a field that is far more competitive than the senior women's and could feature the quartet that set the British 4 x 800m U20 record last week. Crawley trio Hannah Brooks, Emily Goodall and Dani Christmas plus Hannah England (Oxford City) will also have opposition from fast improving Stephanie Twell (Aldershot Farnham & District) and Jessica Sparke (Woodford Green with Essex Ladies) - the latter two were well inside the Beijing World junior standard at 1500 last week. Sparke, England and Twell are also entered for the 1500m. Steph ran a 4:12.76 1500m at the BMC race in Solihull to break Bridget Smyth's 22-year UK age 16 record of 4:15.20, comfortably inside the World Juniors qualifying mark. Twell, coached by Mick Woods, was very emotional after the race when she realised the enormity of her performance, she said, 'I knew Jo and Helen would be running 64s and so I wanted to run my own race rather than be sucked up into someone else's and so I stuck to 68s. "From there I tried to pick it up and pick people off and I felt strong and felt I was really motoring and even closing slightly on Helen. I wanted to run the last 300m quicker than I ever have and break 4:15 so I'm amazed with 4:12." 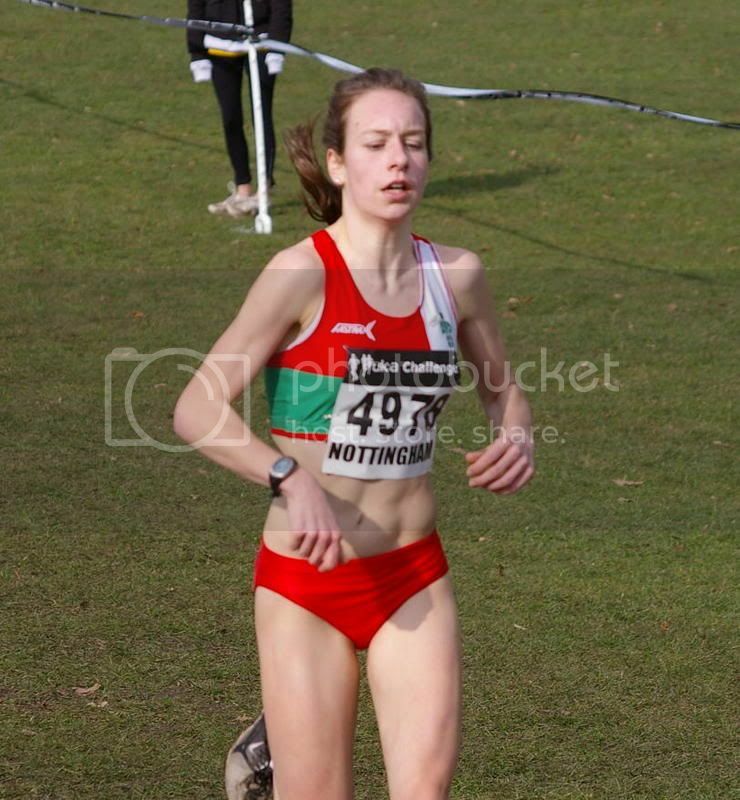 Steph Twell gave the Norwich Union Great Britain and Northern Ireland Team a golden start to the SPAR European Cross Country Championships in San Giorgio su Legnano, Italy, on Sunday 10 December. The 17-year-old, who will still be a Junior in 2008, powered to victory in the Junior Women’s race, leading Norwich Union GB to the Team Gold medals. This was followed by the Norwich Union GB Under 23 Women’s Team also taking Gold. And the Norwich Union GB Senior Women’s Team missed completing the hat trick by the narrowest of margins, losing to Portugal on count back by only one place. As expected, Norwich Union GB won this team title for the fifth time since 2000 – led by a wonderfully aggressive victory by Steph Twell (Aldershot, Farnham and District), who was seventh in this race 12 months ago. Showing no fear of the athletes who finished ahead of her in Tilburg, she was content to sit off the early pace made by defending Champion Ancuta Bobocel (Romania) and choose her own time to attack. Then she struck with devastating effect in the final 600m, moving inexorably away from her most tenacious rival, Karoline Grovdal (Norway) to finish 10m clear. Twell’s time was 12:33, Grovdal’s 12:36 with Bobocel a further 15 seconds down in third place. Norwich Union GB scored 21 points for the most comprehensive triumph of the day. Russia scored 76 to win the Silver medals and Romania 83 for Bronze. Her coach, Mick Woods, UKA Endurance Performance Centre Coach at St Mary’s University Twickenham, said: “This was the pre-season target though Steph would not divulge it to anyone. We talked about this at the Junior Camp at St Mary’s in the summer and her ambition was quite clear to me. She ran a totally dominating race. 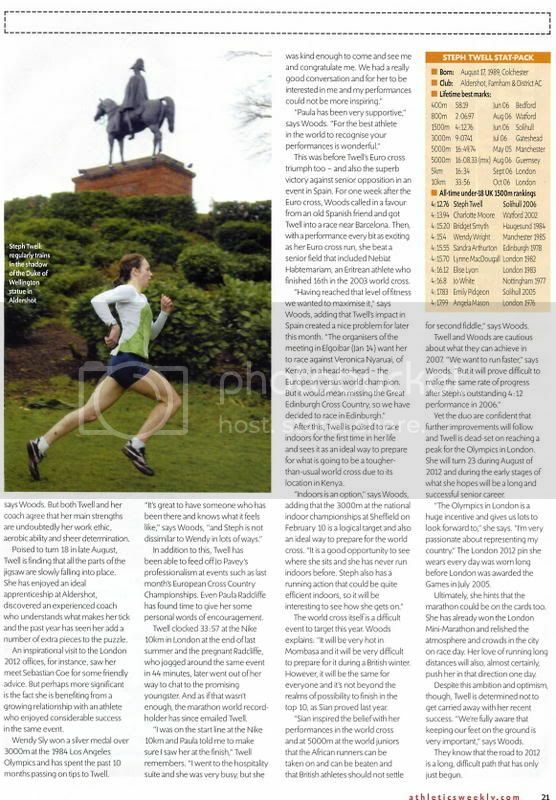 New European Cross Country Champions Mo Farah and Steph Twell, far from resting on their laurels, are planning to race in tough international races on Sunday 17 December – only a week after their glory runs for the Norwich Union Great Britain and Northern Ireland Team that topped the medals table in Italy. Of Norwich Union Great Britain and Northern Ireland Team members in endurance running action on Sunday 17 December, 17-year-old Stephanie Twell scored a super senior victory in Spain, Mo Farah and Hayley Yelling became somewhat stuck in the mud of Belgium and Phil Nicholls sped 60 places up the Power of 10 rankings over 10km with a searing solo run at Telford. at the 40th annual Catalunya International meeting in Granollers, Barcelona. A week after emerging as Europe’s top teenager, the schoolgirl from Farnborough in Hampshire looked to have blown her chances when she lost a 50m lead to the hot favourite, Habtemariam Nebiat (Eritrea), who finished 16th in the 2003 World Cross Country Championships and has already enjoyed successes in previous races in Spain this winter. But when Nebiat looked set to strike with 500m to go, it was young Twell who stunned the crowd by finding the stronger finish. She crossed the line in 20 minutes 37 seconds to win by four seconds. Third, a further 40 seconds adrift, was Miriam Ortiz Rivas, who represented Spain in the under-23s’ race at the Europeans. 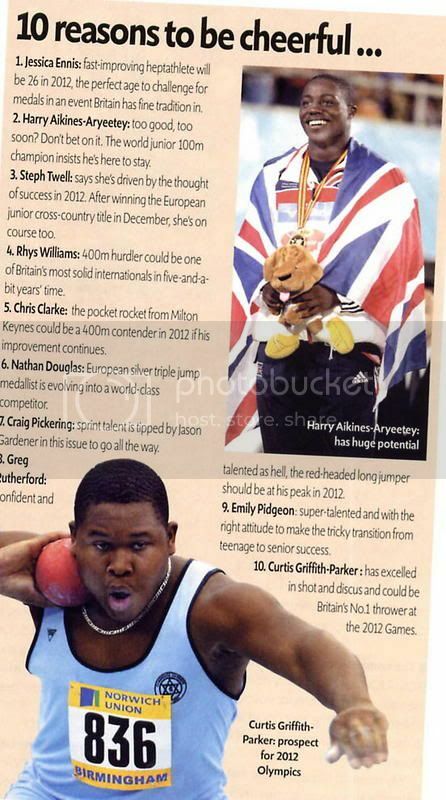 Twell’s delighted coach, Mick Woods, Performance Coach at the UK Athletics Endurance Performance Centre at St Mary’s University Twickenham, said: “She has learnt a massive lesson. She got excited when she built a 50-metre lead with 2.5km still to go. “She began to struggle but she has a really good racing head on her shoulders and she didn’t panic when Nebiat caught her and hit the front with probably 500m to go. 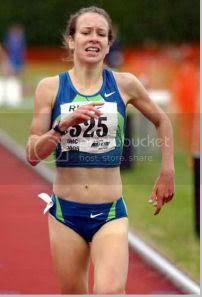 She responded very well and her finish over the last 400m was just as powerful as last week’s at the Europeans. 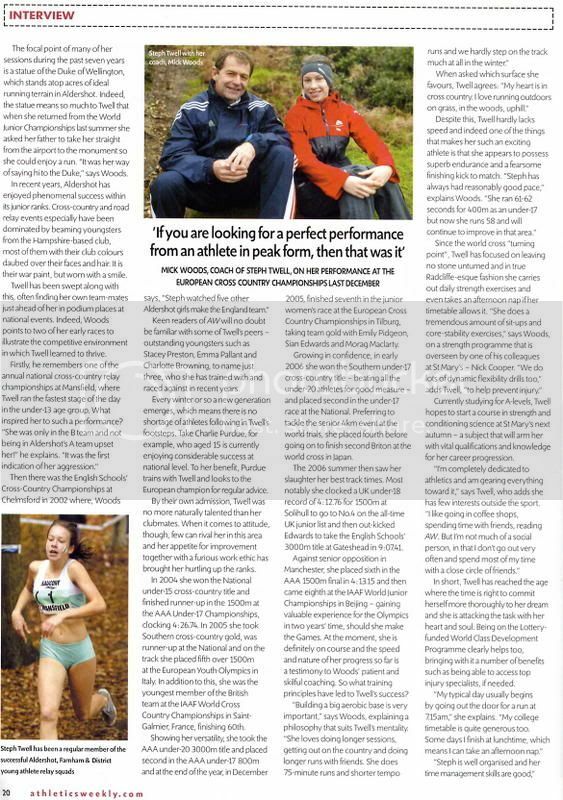 Pre-race: Stephanie Twell, the European Junior Cross Country Champion, and her Aldershot Farnham and District AC training mate Emma Pallant – they are coached by UKA Performance Coach Mick Woods – are fourth and fifth in the 1500m rankings. 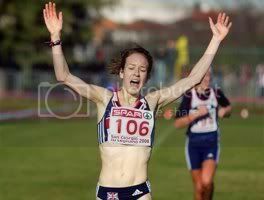 Stephanie Twell ran the bravest track race of her 17 years to win 1500m silver. After the leaders dawdled through the first lap in 73.91 seconds, with 17-year-old Twell staying well out of any trouble in ninth place, she hit the front with 900m to go and built a lead of 10 metres. Hard though she battled to maintain her hot pace – through 800m in 2:25.99 and 1200m in 3:28.39 – she was caught with less than 50 metres to go by Cristina Vasiloiu (Romania), who crossed the line in 4:15.30. 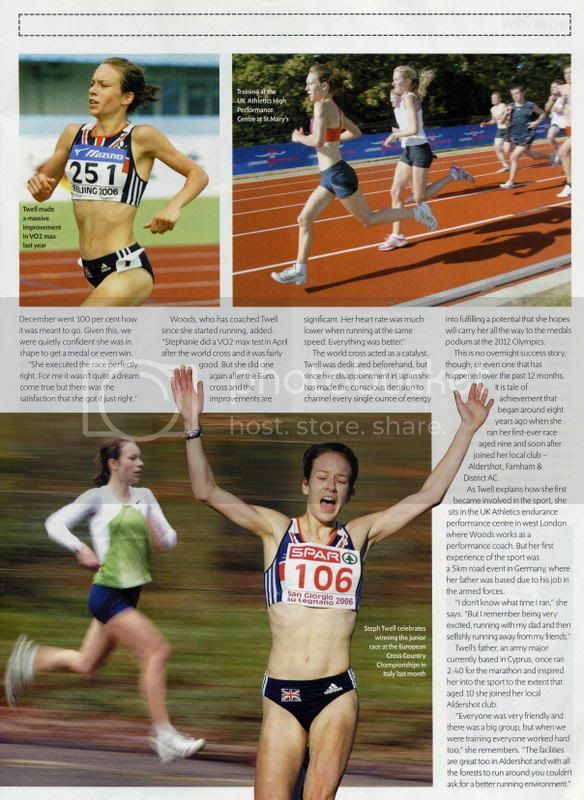 Steph Twell (Aldershot, Farnham and District AC) gave GB&NI the ideal start by becoming the first athlete ever to successfully defend the junior women’s title. She will be young enough to go for the first-ever hat-trick of titles next year.